Bar na otvorenom, Pogled na more, cigara, mojito i djevojka. 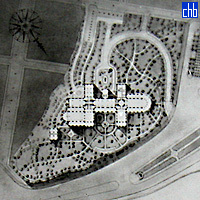 Hotel Nacional Razglednica iz 1955 god. 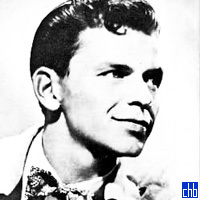 Frank Sinatra. Često vidjen gost hotela. Rashladjivanje posle vježbi u teretani. 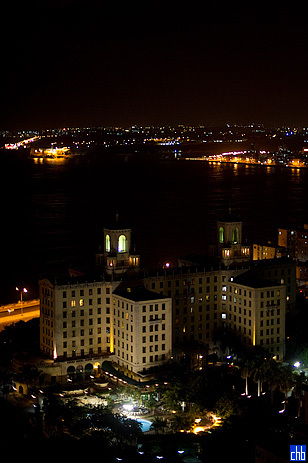 One of Cuba’s most iconic hotels, Nacional de Cuba combines the features of an old Las Vegas Strip hotel with a picturesque Havana location, & will especially appeal if you enjoy spectacular shows, classic cars or history. 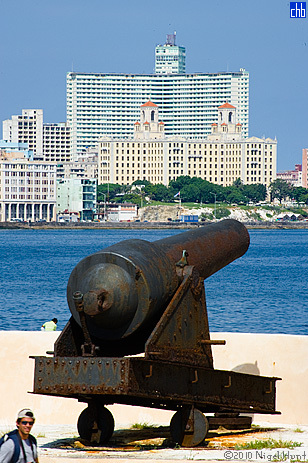 Hotel Nacional de Cuba has hosted a range of famous visitors, particularly screen idols from Hollywood’s golden years, & the hotel has preserved several historical rooms which can be viewed on free guest tours. 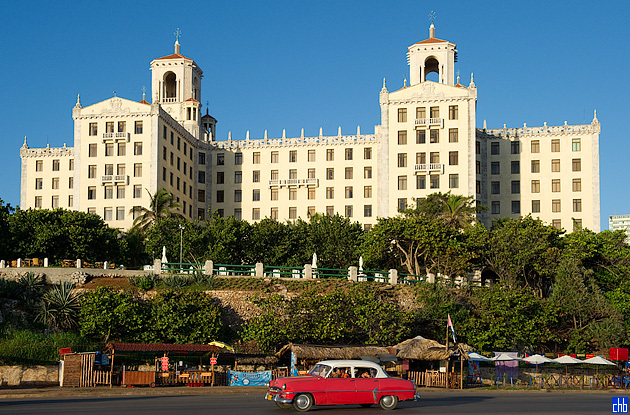 Nacional de Cuba is an elegant hotel from a different age & is itself a popular tourist excursion, with beautiful features & artwork as well as memorabilia from famous guests. 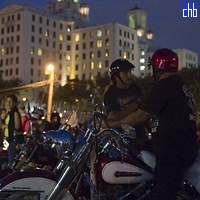 Classic car lovers will especially enjoy Nacional de Cuba as they can see vintage American vehicles every day on its large, looping driveway & there are shows every Saturday. 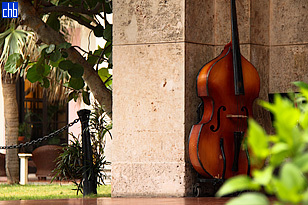 The grounds & terrace at Hotel Nacional are beautiful places to relax & sample the hotel’s signature pina coladas & mojitos, while enjoying views of the sea & Old Havana. 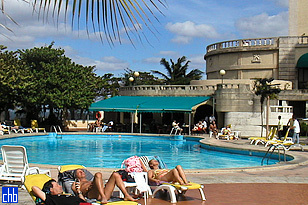 There is a great choice of food & inexpensive drink at Nacional de Cuba with 4 bars, a buffet restaurant, 2 a la carte restaurants & a snack bar. One of the highlights of any stay is the Parisian nightclub with its spectacular floor show, while there is also live music in the lobby veranda every night. 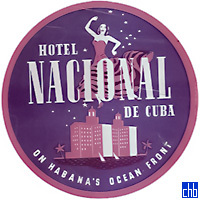 The hotel can get busy with tour groups & service standards can dip at times, with the buffet restaurant often busy at breakfast, so Nacional de Cuba hotel may not suit anyone seeking peace & quiet. 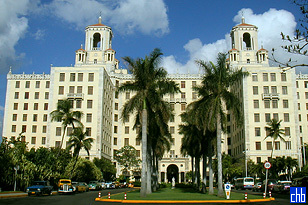 Nacional de Cuba is a famous, landmark hotel that is admittedly starting to show its age. But if you like great entertainment, beautiful views & the idea of strolling in the same beautifully kept gardens once enjoyed by Hollywood royalty, you should try this hotel. Every Saturday from 4pm till 8pm the vintage car and bike club, Amigos de Fangio, show-off their treasures, below the Hotel Nacional. 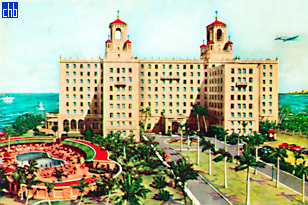 More info on the history of the hotel can be found at hotel nacional cuba .com. Excellent hotel, would recommend for all he can offer. Excellent customer service, optimal location. 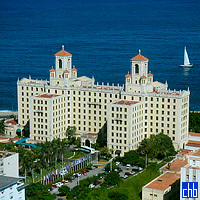 All standard rooms at Hotel Nacional are at least 22m2. They offer ensuite bathroom, king size or twin beds, air conditioning, satellite TV, mini-bar & safe deposit box. 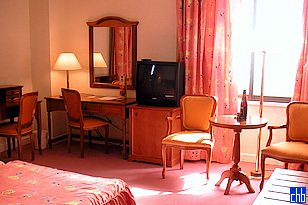 Most rooms have recently been renovated. In addition to the facilities in the standard room, suites have either an ocean or garden view. These suites provide an additional bedroom as well as the above facilities.